mAh per display square in. 223mAh/sqrin. 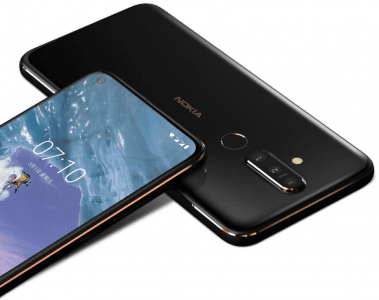 This octa-core smartphone levels with a good number of high-class 2019 phablets with its 6.4-inch 500-nit-bright 19.3:9 screen, while it features a 48-megapixel main lens (It has a triple rear camera) whose raw resolution was among the highest when we were checking it out. That being said, it runs on a so-so (by high-end standards) 2.2GHz octa-core engine aided by a tolerable 6GB RAM. 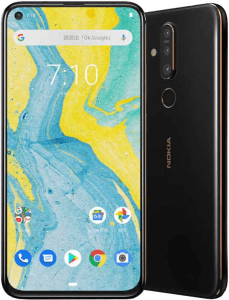 On-paper Pros & Cons The Nokia X71 banks on a triple camera headlined by a 48-megapixel main lens and a 16-megapixel selfie cam, but it settles for a middle-class 2.2GHz eight-core processor. Get to know the rest of its specs in this technical pros-and-cons assessment. 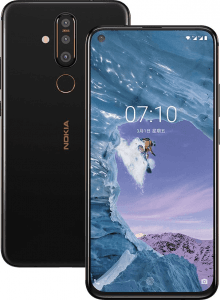 (more) Nokia phones 2019 View all the newest Nokia phones.